A great user experience: they fit naturally on your site and use high-quality advertiser elements, such as high-resolution images, longer titles and descriptions, to provide a more attractive experience for your visitors. In-feed ads In-feed ads slot neatly inside your feeds, e.g. a list of articles or products on your site. These ads are highly customizable to match the look and feel of your feed content and offer new places to show ads. In-article ads are optimised by Google to help you put great-looking ads between the paragraphs of your pages. In-article ads use high-quality advertising elements and offer a great reading experience to your visitors. Matched content is a content recommendation tool that helps you promote your content to visitors and potentially increase revenue, page views, and time spent on the site. Publishers that are eligible for the “Allow ads” feature can also show relevant ads within their Matched content units, creating an additional revenue opportunity in this placement. 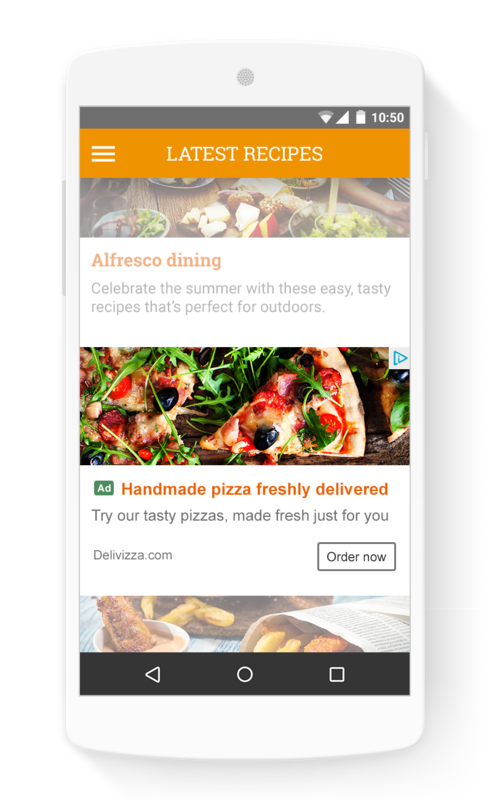 AdSense Native ads can be placed together, or separately, to customise your website’s ad experience. Use In-feed ads inside your feed (e.g. 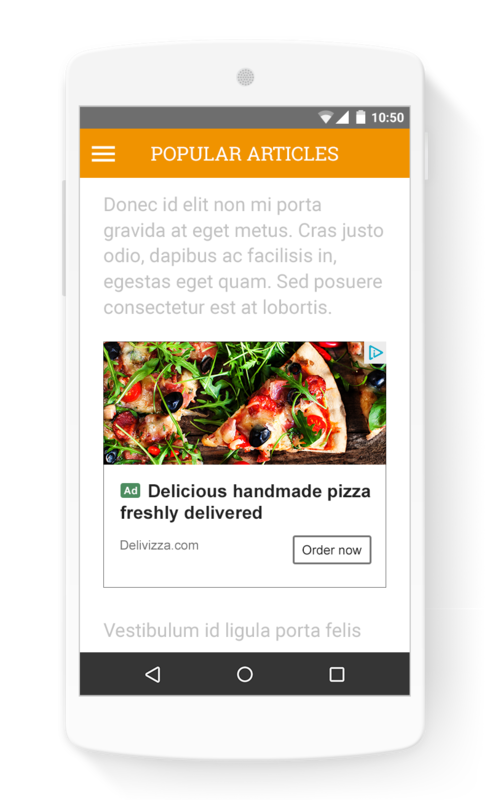 a list of articles, or products), In-article ads between the paragraphs of your pages, and Matched content ads directly below your articles. When deciding your native strategy, keep the content best practices in mind. If you've used the Adsense platform before it will be familiar to you and for those who haven't its rather easy. To get started with AdSense Native ads all you need to do is complete these simple steps. 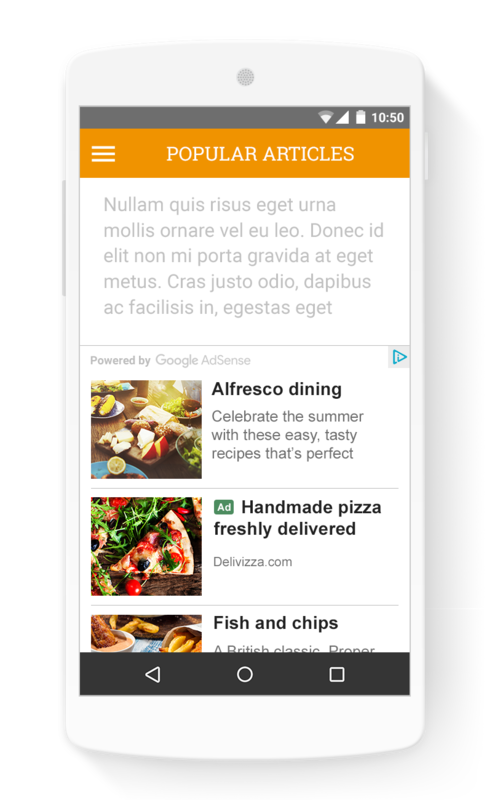 Native ads not only look better but can provide better contextual targeting and matching which is all aimed at driving better click-throughs for publishers and getting you more cash in the bank. So what do you think of native ads? Let us know in the comments section below.